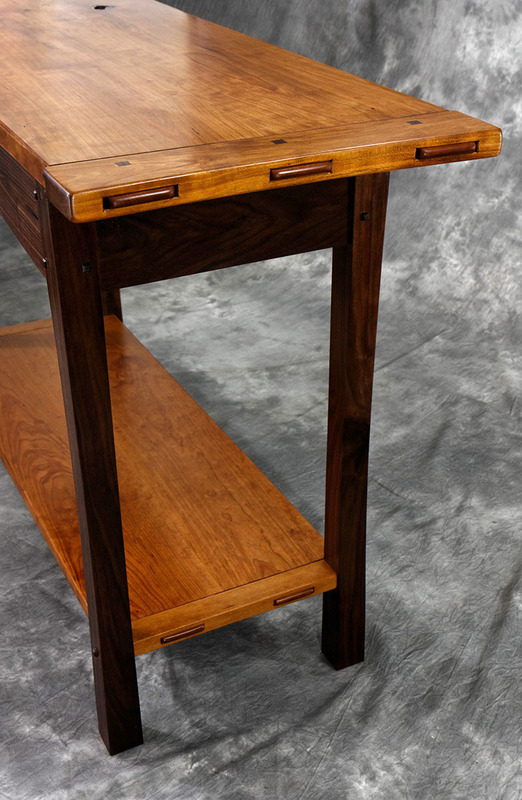 This hall table is a somewhat simple piece with a lot of character. The table top of this piece is book-matched, crotch grain Pennsylvania black cherry. 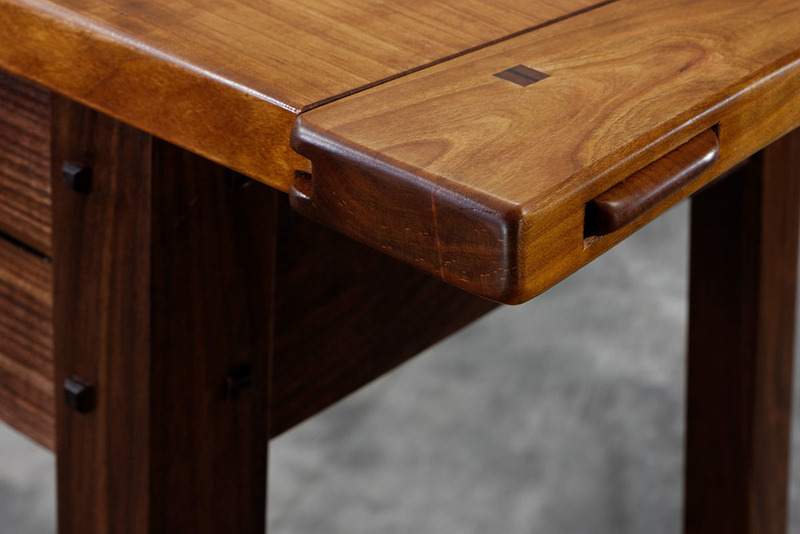 The table top and shelf are fitted with breadboard ends with protruding tenons so the joinery becomes beautiful detail within the overall design. The dimensions are listed here but, this table can be made to fit in any space in your home. If dark walnut and cherry aren’t your taste, we can mix and match the hardwood materials as well.